Recent release “A Book of Short Stories” from Page Publishing author Shawn Warren Frohmuth is a journey through the fantasy world of the author’s psyche. 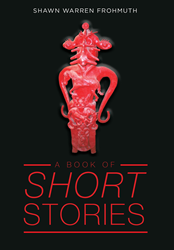 Shawn Warren Frohmuth, a sculptor and avid writer, has completed his new book "A Book of Short Stories": a riveting collection of fantasy stories inspired by the author’s immersion in reading. Published by New York City-based Page Publishing, Shawn Warren Frohmuth's incredible account of multiple fantasies draws the reader in to discover new worlds. This collection of stories covers everything from aliens, to religion, to talking cats, and much more. The reader will not be able to put this book down as they digest each story leaving them wanting more. The author’s incredible ability to create new and exciting fantasy worlds within each story creates an amazing journey from beginning to end. Readers who wish to experience this intriguing work can purchase “A Book of Short Stories " at bookstores everywhere, or online at the Apple iTunes store, Amazon, Google Play or Barnes and Noble.